As opportunities became more plentiful and Antonio’s reputation grew he decided to join in a partnership with his friend Gilbert Auel. In 1951, they started A. Martini & Co. — a General Contracting firm. The company’s projects included shopping plazas, grocery stores, post offices, churches and banks. A. Martini & Co. was a family business from the beginning. Daughter, Clementine Pittore, worked as the company’s secretary. 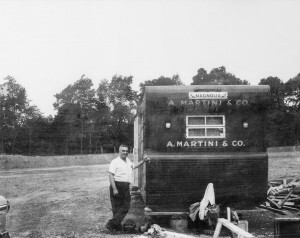 In 1959 Angelo Martini Sr., Antonio’s only son, joined the business as a field superintendent. 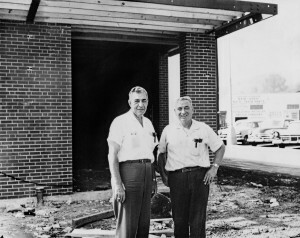 In 1968, Antonio retired, and Angelo Sr. and his sister Clementine assumed management of the construction firm. Their objectives were to continue to grow the business and expand its services. In the 1980’s, Angelo Sr.’s two sons — Anthony and Angelo Jr. — also joined the company and now serve as President and Chief Operating Officer. Today, A. Martini & Co. is a recognized regional General Contractor and Construction Manager providing both pre-construction and construction services. The company complements the traditions of its past with the technologies of the present. With a focus on exceptional customer satisfaction we continue to expand our portfolio of great projects and evolve our delivery process that strives to use the best new practices and achieve a level of efficiency, accuracy, and performance that our clients expect.